Perfect blue skies, crystal clear seas and endless white sandy beaches. When it comes to romantic destinations, it’s hard to top the Seychelles. There are certain destinations which spring immediately to mind when you think of a romantic getaway. 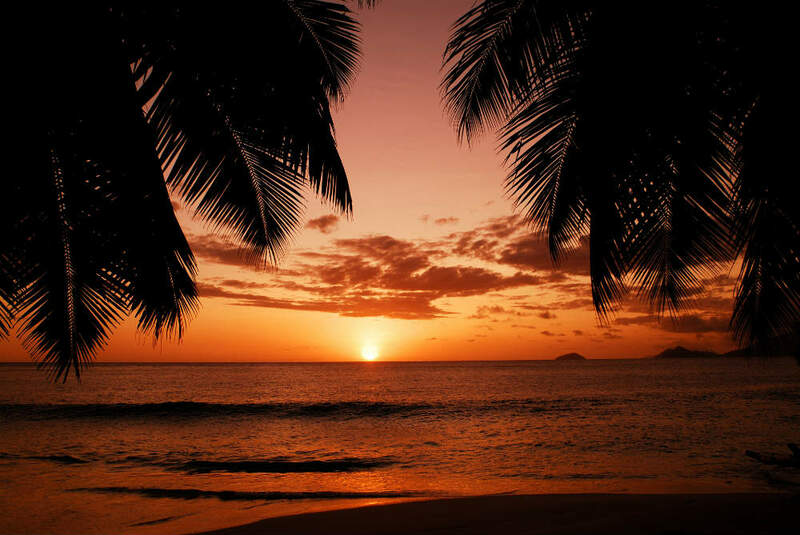 And Seychelles holidays are some of the most romantic holidays. One of the world’s smallest countries, the Seychelles is made up of 115 islands nestled in the Indian Ocean, off the coast of East Africa. Whether you are going on honeymoon, celebrating a special anniversary or just planning a holiday without the kids, few spots are more idyllic than the Seychelles. But what makes the Seychelles such a special place for a romantic getaway? It could be the gorgeous endless crescents of talc-white sand, that are oh-so picture perfect. If your idea of heaven involves relaxing on a stunning beach while you sip a cocktail, then you are definitely not going to be disappointed here. And because there are so many beautiful secluded beaches, you’re not likely to find yourself having to share your spot with too many other people. Maybe it’s the crystal clear aquamarine sea and coral reefs, with over 850 species of fish. The Seychelles has six marine national parks, so it’s a perfect holiday spot for scuba diving and snorkelling. Or just for walking hand-in-hand along the water’s edge, getting your toes wet – it’s up to you really! But if you don’t want to spend all of your holiday relaxing on the beach, don’t worry. You won’t be short of things to do in the Seychelles. You could go island hopping, and venture into the lush forests and mountains. 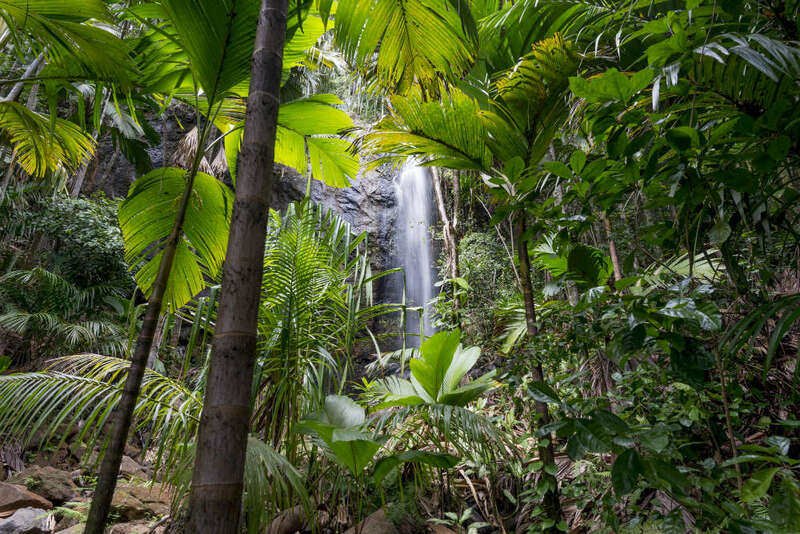 The Seychelles is home to the Coco de Mer tree and some of the world’s rarest birds. You might even see the giant tortoises which make their home on the islands. You could explore the capital city of Victoria with its rich history, amazing botanical gardens and local markets. If you visit in April, you can join in the three day Carnaval International de Victoria. Or book in October to celebrate the flavours, sights and sounds of the Creole world at the annual Festival Kreol. A Diverse History and Exciting Cuisine! 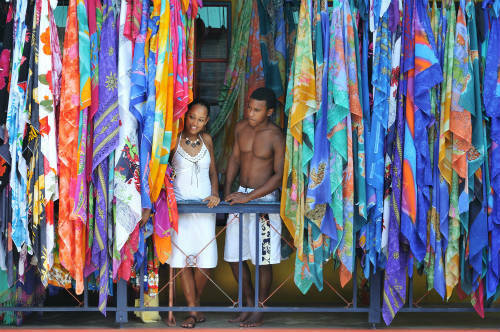 The Seychelles’ history is very diverse, and so the relaxed Creole culture has a mix of influences from Europe, Africa, India and China. And the food in the Seychelles blends African, Chinese, English, French and Indian flavours with rich Creole influences. As you’d expect, there’s plenty of fish on the menu, and you may eat it grilled, baked or in curries. You’ll also see plenty of lobster and octopus as well as pork and chicken. And then finish off your meal with a dessert made from tropical fruits. The weather in the Seychelles is pretty stunning too. Because of the island breeze and tropical vegetation, the average temperature is 27C and it rarely goes above 32C. Of course, you do get some rain storms but they tend to be brief and intense, and the blue skies will soon return. So does your idea of a romantic getaway involves serene beaches, beautiful weather, and enjoying a delicious meal while you watch the sun go down over the sea? If so you should probably pay a visit to the Seychelles! Your romantic Seychelles holiday can get off the ground from several UK airports. Flying to the Seychelles International Airport takes around 11.5 hours, with a stopover at Dubai. It’s definitely one of my dream destinations! The Seychelles sounds like such an amazing destination to visit. Though it maybe a little warm sometimes but hey it would be worth it I think. The Seychelles is somewhere I’ve always wanted to visit, and your post has made me want to go even more. The food combinations sound incredible and so diverse, I’d love to try them soon! We were thinking of here for our honeymoon, but we went to the Caribbean instead. I would love to go though. Been reading so much good thing about Seychelles. They say that it is a must visit especially for honeymooners. The beach is so beautiful. I am a sunset fan and your picture looks so beautiful. Definitely my idea of a place to have some vacation! Work experience in the Seychelles?? Where do I sign up for that?! Omg it looks absolutely gorgeous! I would love to check this place out! Oh wow!!! that place looks and sounds beautiful! Never been anywhere like it! Ooh it looks like heaven on earth.. It’s a beautiful place. Looks amazing. I’ve never been but I’ll add it to the ever growing list of places I want to! !